Tottenham will face Manchester City in the Champions League Quarter-Finals - but can they beat Guardiola's men? This afternoon saw the draw for the Quarter-Finals of this season’s UEFA Champions League, and with four English teams in the last 8, it was always likely that two giants of the Premier League would be drawn against one another. That suspicion came true as Tottenham Hotspur have been drawn against reigning Premier League champions Manchester City. City will rightly go into the tie as favourites – Pep Guardiola’s men currently lead the Premier League title race and are 13 points clear of 3rd placed Tottenham, and more to the point, they’ve beaten Spurs in the last 3 games between the two. But after seeing them sweep Borussia Dortmund aside in the Round of 16, it’s impossible to count Mauricio Pochettino’s side out. Here are 3 reasons why Tottenham can defeat Manchester City in the Champions League Quarter-Finals. The saga of Tottenham’s new stadium is simply too long to truly recount here, but to be frank it’s been a source of embarrassment for Spurs fans all season. Initially supposed to open at the beginning of 2018/19, safety concerns have seen constant delays that have meant the team are still playing at their temporary home of Wembley. 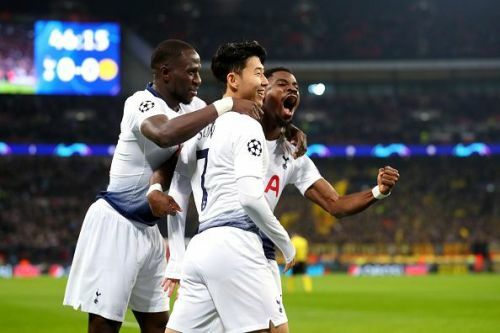 Thankfully, Tottenham are still in the Champions League – meaning those infamous tube adverts stating that the new stadium would be “the only place in London to watch the Champions League” should still ring true. That’s because it’s looking likely that the new stadium should be open for either the game against Crystal Palace on April 3rd, or against Brighton on April 6th. 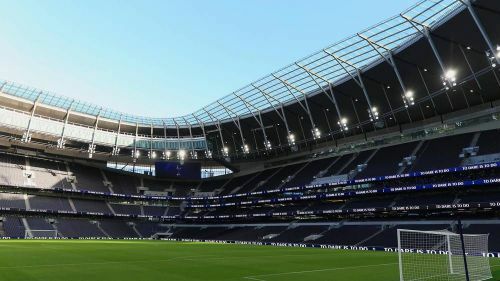 The first leg of the tie against Manchester City meanwhile is booked for April 9th, and Spurs are the home team – meaning the game should take place in the new stadium. And while Pochettino’s men initially struggled with their home games at Wembley, they’re now one of the Premier League’s most adaptable sides – in fact, despite recent struggles they have the best away record in the league. Throw in the fact that the Spurs fans – who have been desperate for the stadium to open for what feels like forever now – should be rabid for a big European night like this, and it isn’t out of the question that Harry Kane, Dele Alli and the others could use what should be a tremendous atmosphere to drive them to blitz City in the first leg – and then hold out for a famous victory at the Etihad in the return leg.